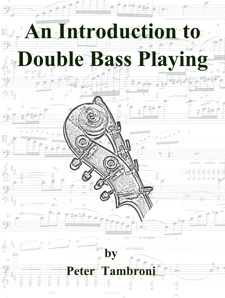 Purchasing a double bass and / or bow can be a complicated issue, much more so than the other string instruments. Go for all plywood. It’s sturdy and impervious to weather changes. As thick an endpin as possible. Ebony (NOT “ebonized”) fittings – nut, fingerboard, tailpiece, endpin collar. Rosewood tailpiece and fingerboard are fine for a second choice. A good curvature (radius) to the fingerboard. The Samuel Shen line of basses are great instruments for students and advancing players. Ask to have it strung with Pirastro Obligatos. What to look for in a bass for a beginner and / or elementary bow: First, you need to know whether you will be / are playing German (Butler, Dragonetti, underhand are a few other names) bow or French (overhand – similar style to violin / viola / cello) style bow I recommend starting with a Glasser Fiberglass bow with real horsehair. These bows are very inexpensive (about $55 from Shar) and play well. I advise against brazilwood bows as they warp extremely easily and do not offer a playing upgrade equal to the increase in price. The next step up would be either a composite bow or a pernambuco (the only type of wood I recommend for bows) bow. What to look for in an advanced bass: Before buying an instrument ask yourself a few questions: What styles will I be playing? Will I be pursuing this professionally? Will I be upgrading in the future? Where will I be playing (i.e. outdoors, halls, clubs, etc.)? These questions will help you to determine how much money you want or need to spend and what materials your bass will be made of. Jazz bassists can ‘get away’ with playing plywood – it actually often has a nice big thumpy sound that’s great for jazz. Some plywood that aren’t too expensive that would also appeal to jazzers include Kay and Juzek. OK. So you’re going to be a classical bassist and you need a bass. What now? BE PATIENT!!! Look around. Don’t just look for new instruments. Look in the newspaper, garage sales, ask around. I have seen several people find basses at flea markets, garage sales, etc. and pay very little money and find a great bass. However, you need to know what to look for and they may need work. How new is the bass? Newer instruments will change in sound, generally for the better, as they break in. Quality of the fittings. Is the bridge fitted and carved to the instrument. Is it an adjustable bridge? How about the endpin? Is it thick / solid? Does it have a screw on rubber tip? Look for a “Goetz” brand endpin. Is the nut carved well? Look at the space from the string to the fingerboard right at the nut. There should only be about a business or playing cards space. Does it look like someone took their time carving this bass or do some things look sloppy? I don’t mean worn, old, or played, but rather the way the instrument fits together. How quick is the response? Try playing eighth and sixteenth notes on the lower strings. Also try playing something spiccato. Notes should speak immediately. Is the tone even throughout the register of the bass? Where is the wolf tone and how pronounced is it? Every instrument has one – usually around IVth position on the A string. If there are many, beware. A wolf tone is not a buzz but rather an odd sound or growl. Also look out for buzzes which may indicate fingerboard irregularities or other setup problems. How is the tone? Is it dark and full (orchestral) or more nasal and bright (solo) or a combination? Have a teacher or friend play it so you can hear. What is the condition of the bass? Openings at seams are fine. Cracks are not necessarily bad and most can be fixed but note how many and their location. Does the bass have a round or flat back? I have heard advantages and disadvantages for each. However, I recommend a round back due to its strength and structural integrity. Do you want composite or pernambuco? How is the balance? Is it tip or frog heavy? Draw a long tone from frog to tip. Do you need to add a lot more weight toward the tip? Does it produce a satisfactory sound? All bows sound different!! Is there enough camber (curve or arc of the bow)? Is the stick straight? Look down it from the frog. If it is straight that’s fine. If there is a slight bend to the right that’s is fine as well – this is known as ‘good bend’ or warp. If it bends to the left, avoid it. Does it stay on the string well?